GOP Texas Sen. Ted Cruz met Tuesday with the families of the “CITGO six,” American oil executives held captive in Venezuela, and called for their release. CITGO is a U.S.-based oil company that is majority-owned by PDVSA, Venezuela’s state-owned oil company. Venezuelan dictator Nicolas Maduro imprisoned CITGO’s former vice president for refining Tomeu Vadell, former vice president for supply Jorge Toledo, former vice president for shared services Jose Luis Zambrano, former Corpus Christi refinery director Alirio Zambrano and former head of public affairs Gustavo Cardenas in November 2017. Maduro is under increasing pressure to step down as Venezuelan president. 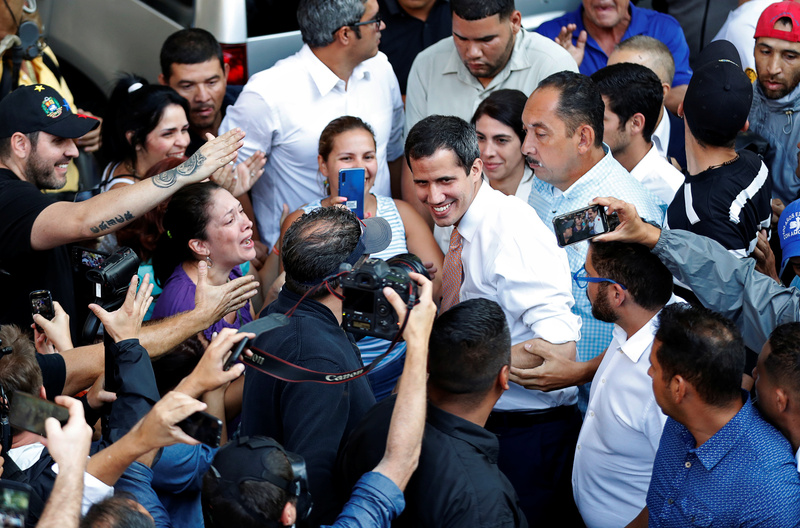 Venezuela opposition leader Juan Guaido has declared himself interim president and has earned recognition from President Donald Trump, Brazilian President Jair Bolsonaro and other world leaders as the rightful leader of Venezuela. The United States has used sanctions to apply increasing economic pressure on the Maduro regime. Sanctions on the Venezuelan oil industry, the country’s main source of income, have caused oil to pile up in the country due to the absence of immediately accessible markets. Maduro is attempting to shut down the rebellion by targeting Guaido. Maduro has banned Guaido from running for public office for 15 years over alleged flaws in his financial records. The Venezuela Supreme Court Justice Maikel Moreno, a Maduro ally, has proposed prosecuting Guaido for violating a ban to travel outside the country, Fox News reports.